Is Your Employer Disability Coverage Enough to Meet Your Needs? Many people with stable, long-term employment enjoy a number of benefits from their employer. This could include 401k matching, employee discounts, health benefits, and insurance benefits.In this article, we are going to focus on the last benefit in that list. Specifically, we are talking about disability insurance. As mentioned, employer-provided disability insurance is just one part of a larger benefits package that is offered to staff. Disability insurance is one of the most important features of a benefits package. Unfortunately, it goes overlooked by many people until a need arises. It is estimated that around 12% of Americans currently suffer from some form of disability. We will discuss how you can evaluate your employer disability insurance coverage to determine if it meets your needs. More importantly, we are also going to provide you with important suggestions on how you can bridge the gap should you discover that your employer disability benefits are not quite adequate. What Does Employer Disability Insurance Cover? This is the first question you must answer for yourself. Unfortunately, there is no simple answer to this question that we can provide an employer disability insurance coverage can vary wildly. Some employers may not offer disability insurance at all. 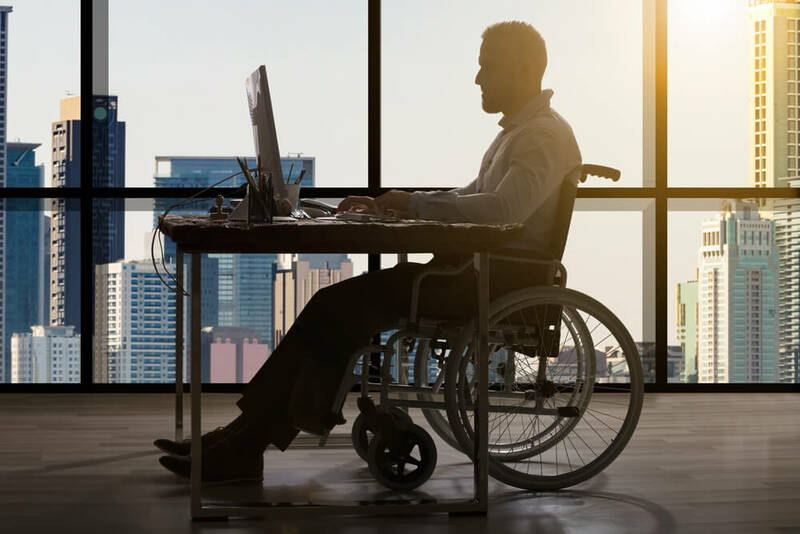 Determined what you are covered for in the event of a disability is the first step to assessing whether or not your employer-provided coverage will meet your needs is determining your disability coverage. One very basic thing to look for in disability coverage is whether or not you are covered for disabilities that occur outside of work. These disabilities could be a result of a car accident, chronic illness, or other injuries. In all cases, they could prevent you from returning to work and collecting pay. Next, you need to consider what the payout is under your employer disability insurance plan. These payouts could include recurring payments for employees who cannot work as well as one-time payments for injuries or disabilities. For example, a typical employer disability payment is 60% of your salary. Finally, you need to understand the limitations of your employer disability coverage. In many cases, disability payments are capped based on a certain number of months. This means that disability benefits could stop entirely. Or they could lower the payment amount if your disability remains for a long period of time. Between all of the legalese, understanding disability coverage may be difficult. If you ever have questions or concerns about your coverage, speak with an expert who can analyze your coverage for you. Can You Live on Disability Insurance Payments? Once you have determined what your employer disability insurance covers, ask whether or not you are able to live on those payments. This is often where people discover the limitations of their disability insurance coverage. To do a simple calculation, you will want to make a basic monthly budget if you do not already have one. Include your expenses for debt payments like your mortgage and vehicle payments. Also, include expenses for groceries, utilities, and even investing. Someone who is disabled still has to save for their future retirement. Keep in mind that this calculation is your life as it currently stands. You have not included anything extra like specialized transportation or medical costs that could arise from your disability. Now, calculate how much your disability payment would be. Is there a shortfall between the money you are being paid and the monthly budget you have created? If so, your disability insurance will not allow you to continue enjoying the same standard of living that you currently enjoy. The next step would be to consider what kind of cutbacks you could make to your budget if you were to become disabled. For many people, making these cutbacks simply cannot be done. You still have to pay your bills and other debts. Nearly 80% of Americans say they live off from paycheck to paycheck. This means that living on the reduced income of a disability insurance payment would be a major stress for most people. There are two ways that, when combined, can help make living on employer disability insurance payments much easier. This can reduce stress during recovery from an injury or illness and help ensure that your quality of life does not change because of an unforeseen circumstance. First, for those who cannot live on their employer disability insurance coverage alone, private insurance coverage should be sought. You can use private insurance coverage in tandem with your employer coverage to help ensure that your lifestyle will not be seriously affected by your disability. Private insurance coverage is also recommended for those who find their employer coverage is severely limited. For example, if employer coverage ends after 6 months then you may wish to find private coverage that would provide disability benefits for a longer period of time. Next, in addition to private disability insurance, you should work to create an emergency savings fund that you can draw on during unexpected circumstances. Many people save anywhere from three to six months expenses as part of their emergency fund. This fund can cover any additional unexpected costs and also bridge the gap between when you become disabled and when payments begins to arrive. Private insurance, employer provided insurance, and an emergency savings plan can all help to ensure your life is not turned upside down by injury or illness. At Mooney Lyons, we have experts who can help you navigate the world of disability insurance. If you are concerned about your current coverage, looking for additional coverage, or just needing an expert working for you then contact us today!